Our Gorilla Kingdom brings the African rainforest to the heart of London. You’ll be able to meet Africa’s most exciting residents, featuring our colony of western lowland gorillas. This is one encounter you’ll be sure to remember. When you step into this atmospheric exhibit, you’ll first be able to explore our African aviary before moving on into our Gorilla Kingdom. This natural and engaging environment is home to our gorillas, featuring a stunning clearing, their own personal island, and an indoor gymnasium. Our colony of gorillas is led by our impressive male silverback – Kumbuka. In 2014, Kumbuka parented his first offspring with mate Mjuku or ‘Jookie’ as she’s nicknamed: a baby girl named Alika, which means ‘most beautiful’. In 2015 Kumbuka's second offspring, a male called Gernot, was born. The group is completed by females Effie who is well-known in the Zoo for her huge appetite, and Zaire, a playful and mischievous character who is known for sometimes doing precisely the opposite of what the keepers want! Gernot can be very playful and loves piggy-backs with sister Alika. He also likes to beat his chest in practice for his future Silverback role, but because he hasn’t grown into himself yet he usually loses balance and falls over! Alika is still playful when it suits her and she acts very much like a typical older sister to Gernot. She'll happily give him piggy-backs, but she'll also tell him when she's had enough! She loves root vegetables and will grab her favourite foods and run away from mum Mjukuu so she has time to eat them. She's quite a character! Large viewing areas and an engaging habitat means you’ll have the very best vantage point for seeing this special family. Want to monkey around some more? Venture further into this exhibit and discover more primates, including our families of white-naped mangabeys and white colobus monkeys. 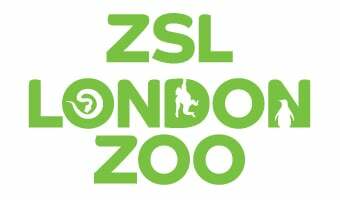 With an adoption pack, you can help to care for our gorillas at ZSL London Zoo, and support our worldwide conservation work. Love gorillas? Find the perfect gift in our online shop.